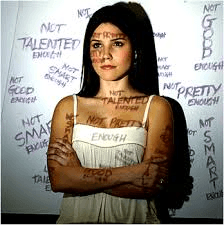 There are a lot of stressors in the average teen living in the twentieth century. For me, school is my number one stressor. If you don’t hand I your work and you get bad grades, or you don’t graduate, or you have a bad reputation it will be harder and harder to get a job. These days you need more and more to get a job or for a company to even look at your resume. Social stressors are a big one too, for example in grade eight you have a main group of friends that you are with during lunch everyday, then you get to high school and they all start attaching and getting closer to other people or groups that you don’t feel you good enough to be apart or talk to and you begin to feel left out. All could affect your self esteem. There are typically two levels of self esteem. High self esteem is when you are motivated to take care of your self, you are striving towards your personal goals and aspirations, you think positively of yourself, you feel you have a purpose in life. You don’t need approval to move forward with big life changing ideas, you don’t give up when things go bad and you just keep trying until its what you want it to be. The second level of self esteem is low self esteem. You don’t believe in yourself, you give up easily, when you fall you don’t get back up and try again, you don’t think your good enough. When you get an assignment to do, you do the least amount of work you could possibly do or instead you just don’t do it at all. You don’t see yourself as being able to have happiness in your life, you could be conscious of your body. In my opinion there is a stage between those two. A stage where you are realizing the actual person you are and what you could be. Your revealing the parts of your personality you hide from your friends, family, class mates, teachers. That stage is what most people from ages 10-20 are in. Kids from 5-9 kids are usually out going and positive because they nothing to worry about. Pre-teens 10-11 maybe 12 start to get more aware of what’s happening around them and the social and physical changes them selves and people are having around them. Then from 13-20 your stressed about life, your grades, possible family issues, social change could affect your self esteem, your physical changes that are happening which could make you insecure about your self. I think people should get more breaks from school and work to check in with themselves. We shouldn’t be scared to miss a day of school because we fear all the, honestly non-important work your missing. We need to learn how to take care of our selves and when to give ourselves a break from the major stressors in life. Realize the important things that make you happy and focus on those not what stresses you.